Biochemicals & Archetypes: Monoterpenes (the Athlete), Alcohols (the Lovers), Esters (the Transformer), Aldehydes (the Cleaners). 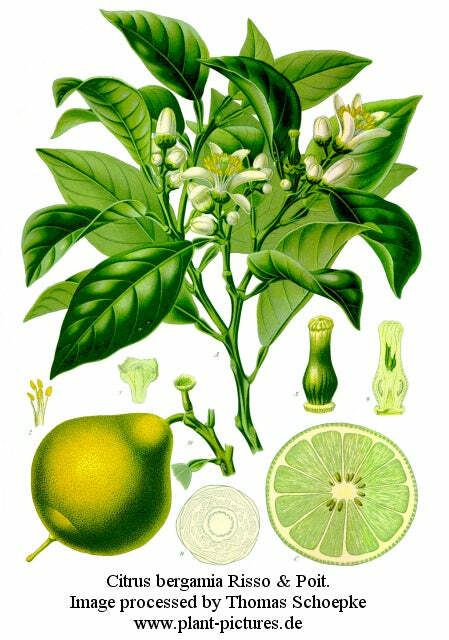 Properties, Actions & Effects(based upon its chemical profile/properties Bergamot oil is known to have the following actions & effects). Antimicrobial - an agent that resists or destroys pathogenic microbes (virus and bacteria). Antiparasitic - destroys, or inhibits parasites. Antiseptic - prevents, halts infection (mouth throat gargles). Regulator - an agent that helps balance and regulate the functions of the body.